Daniel Elias utilized his sight fishing skills to claim victory at the Total Bass Tournament at Saguaro Lake, AZ on February 22nd, 2014. He weighed in a five bass limit of 25.63lbs which included the tournament's big fish of 9.46lbs. Daniel caught his fish on a combination of four baits which were all white in color. He used a Berkley Powerbait Chigger Toad and a Berkley Havoc Devil Spear which were fished on 7'3" Medium Heavy Abu Garcia Veracity casting rods with twenty pound Berkley Trilene 100% Fluorocarbon line spooled onto 7.9:1 Abu Garcia Revo MGX reels. He also used a Berkley Powerbait Power Claw and a Berkley Havoc Rocket Craw which were rigged onto 7'3" Medium Heavy Abu Garcia Veritas casting rods with fifteen pound Trilene 100% Green Tint Fluorocarbon spooled onto 8.0:1 Revo STX reels. 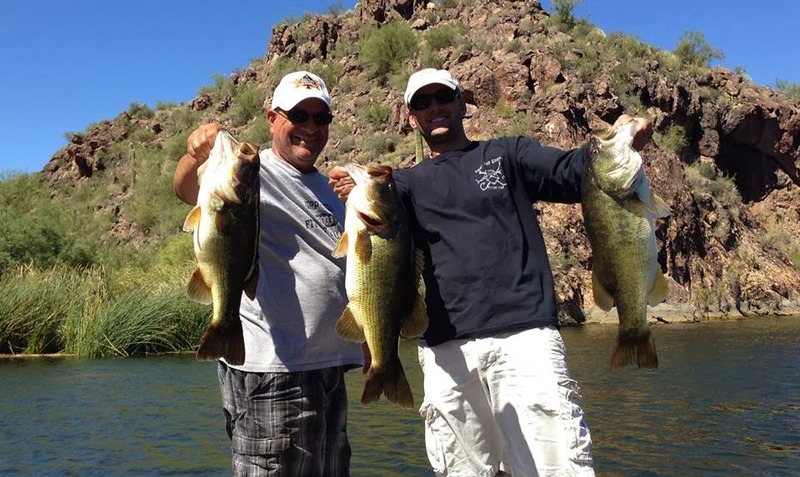 Daniel took his Dad out for a day of fun fishing at Saguaro Lake on September 29th and they caught some absolutely giant bass together. They caught a whole bunch of big fish throughout the day including the three bass pictured below. They caught their fish drop shotting Berkley Powerbait Hand Poured Finesse Worms and throwing a Berkley Havoc Bottom Hopper on a shakey head. Daniel Elias brought 22.64lbs of bass to the scales to finish in 2nd place at the Total Bass Addicts Tournament held at Saguaro Lake, Az on July 20, 2013. His 22.64lb limit surpasses his previous largest single day tournament limit of 22.09lbs which he caught at Lake Havasu, Az in 2011. Daniel reported that all fish he weighed in were caught on 10" Berkley Power Worms including his big fish which weighed 6.09lbs. Daniel Elias and his team partner Butch Nessline finished in 2nd place at the Fishin' for the Cure Charity Bass Tournament held at Lake Pleasant, AZ on April 13th, 2013. This event was held to raise money to help fund research to cure childhood cancer. Daniel relied on his sight fishing skills to land their tournament limit. He reported catching fish on a Berkley Havoc Rocket Craw in both the pearl white and molting craw colors and also landed a few on a Havoc Smash Tube. Both baits were fished on Abu Garcia Revo MGX reels mounted to 7'1" MH Abu Garcia Villain rods and 15lb Berkley Trilene 100% Fluorocarbon line. All teams that finished in the money donated a portion of their winnings to Fishin' for The Cure. 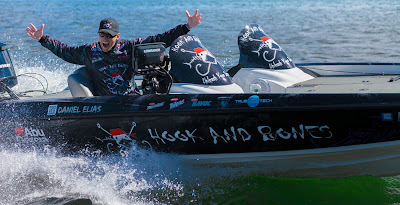 Daniel recently signed a sponsorship agreement with Hook and Bones based out of Swansboro, NC. Hook and Bones is a brand created for the individual who is drawn to the water life. This water lifestyle brand sells a myriad of apparel including but not limited to t-shirts, sweatshirts, performance shirts, and headwear. 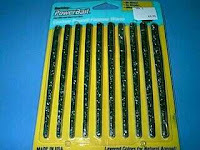 They also sell various fishing related items such as tackle bags, rod covers, and custom built inshore fishing rods.  Daniel will run the Hook and Bones pro-staff program that will be comprised of both freshwater and saltwater anglers and will regularly contribute to the Hook and Bones Blog and Facebook Page. 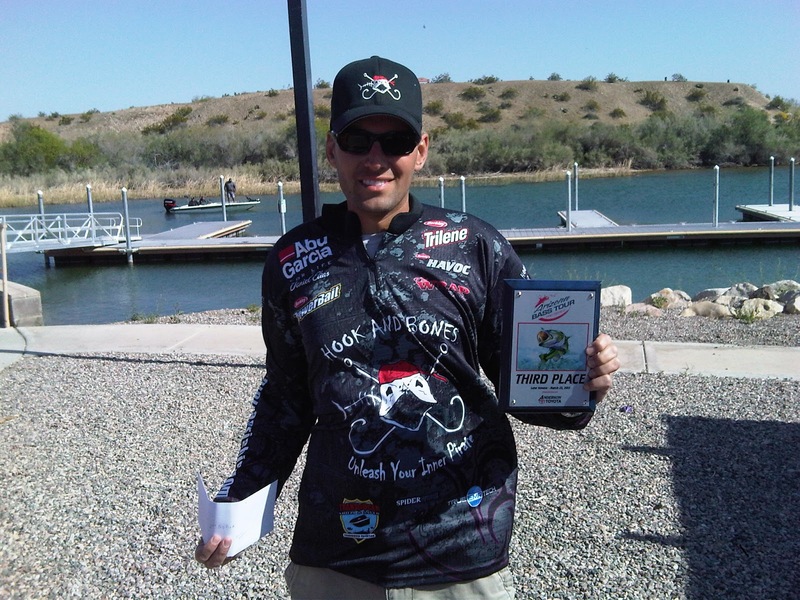 Daniel Elias claimed victory on Day 1 of the Bill Luke Bass Days Tournament at Lake Pleasant, AZ on March 16th, 2012. He earned top honors after weighing in a 5.40lb bedding bass that he caught sight fishing using a white 4" Berkley Havoc Devil Spear. Daniel continued to catch fish throughout the tournament and went on to cash checks during all three days of the event. He credited much of his success to the unique action that the Berkley Havoc Devil Spear possesses. Check out the video below to view the bait's incredible action in slow motion. On January 22nd, 2012 Daniel Elias received the "Shooting Star Award" which was presented by the Shake, Rattle, & Troll Radio Show. The award was presented to Daniel live on air during their weekly fishing show which is broadcast online and on KFNX 1100AM. This was the inaugural "Shooting Star Award" and it will continue to be given out yearly to the one person that Shake, Rattle, & Troll Radio feels represents the best up and coming professional bass angler. Daniel commented, "I am honored to receive the first Shooting Star Award ever given out by Don McDowell and the Shake, Rattle, & Troll team. It is great to be recognized by fellow sportsmen and anglers who support my passion of professional bass fishing." 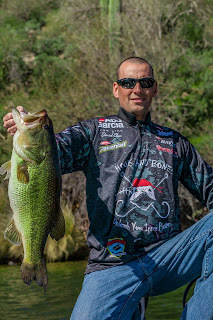 Daniel Elias took 2nd place at the Midweek Bass Open / AZ Game & Fish Benefit Tournament on Lake Pleasant, AZ on December 29th, 2011. Daniel weighed in four fish for 12.24lbs with a 4.82lb big fish, his bag contained two fish over 4 pounds. He caught all four fish during the last hour of an extremely difficult tournament that included both B.A.S.S. Elite Series and FLW Tour Pro's. 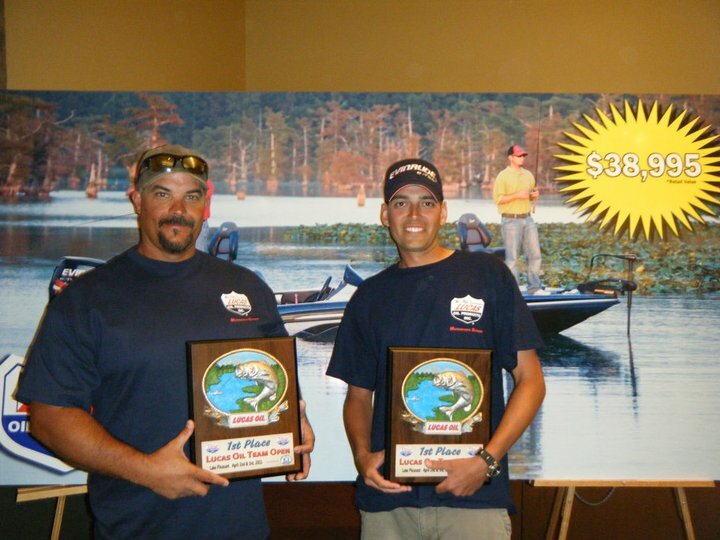 Only two 5 fish limits were brought to the scales during the tournament. 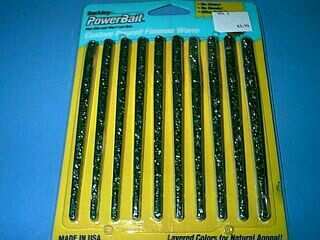 All of Daniel's fish were caught on 4" and 5" Berkley Powerbait Ripple Shads in the Green Back Pearl color. Daniel Clinches 2011 Boater of the Year! 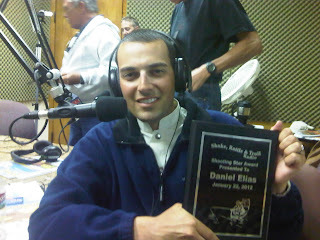 Daniel Elias clinched the Boater of the Year title in the Midweek Bass Anglers of Arizona tournament circuit for 2011. The anglers that fish Midweek Bass tournaments are some of the very best in the entire state and Daniel was extremely pleased that he was able to follow-up last year's Angler of the Year title with this year's Boater of the Year title. He did note that he fished in some very heavy shallow cover this year and the new Transducer Shield and Savers that he installed to start the year held up extremely well. Daniel commented, "I put my boat and trolling motor through a beating this year and the transducer on my trolling motor is as good as new even after repeatedly smashing into trees and rocks. I'm pretty sure that Transducer Shield saved me about six transducers and a ton of money." 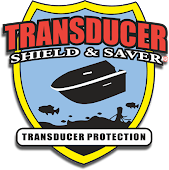 To check out Transducer Shield and Saver's website click here. Daniel Elias pitched and flipped two new Berkley Havoc baits to win the recent Midweek Bass Anglers tournament September 21st on Roosevelt Lake, AZ. He weighed in 18.43lbs for the day with a big fish weight of 5.83lbs. He quickly caught a limit on a homemade swim jig and then upgraded all of his fish later in the day using a Berkley Havoc Devil Spear and a Berkley Havoc Pit Boss, both were black and blue in color. 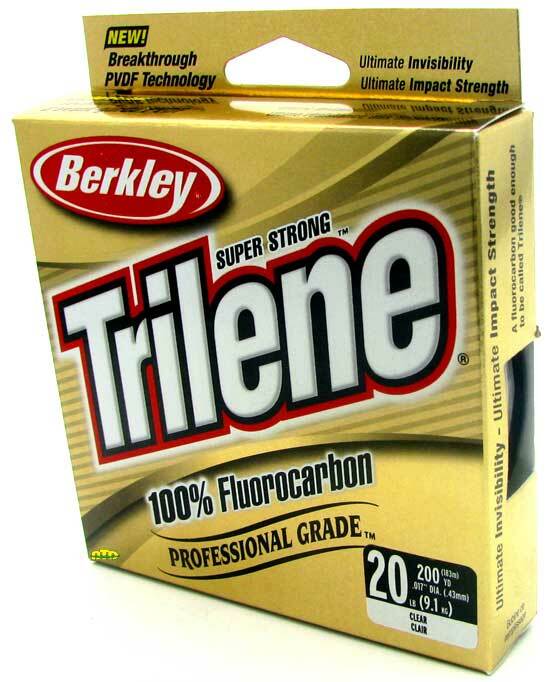 Daniel fished deep in the center of trees in 10-12ft of water and said that the 20lb Trilene 100% Fluorocarbon he was using was key to getting his fish out. 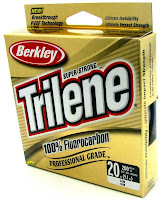 Daniel commented, "I couldn't use braid because the water was too clear to get bit on it but that Trilene 100% Fluorocarbon is so strong that it didn't matter. I got every fish out of the trees without ever breaking one off." Daniel Wins New Boat at Lucas Oil Open! Daniel Elias' sight fishing skills paid off again April 2nd and 3rd at Lake Pleasant, AZ when he won the Lucas Oil Open by weighing in 26.92lbs of bass. For the win Daniel took home a fully rigged 2011 Ranger Z118 bass boat with an Evinrude E-Tech, Minn Kota Trolling Motor, and Lowrance Graphs. Daniel again caught all of his fish sight fishing and primarily used two baits, a Berkley Hollow Belly Swimbait and a 4" Berkley Hand Poured Finesse Worm. Daniel would like to thank Lucas Oil for proividing the boat, Clay Lippincott and American Bass Anglers for running an amazing tournament, Cabela's for hosting the the event and delivering the boat, and John Ramsey with JR Custom Rods for awarding the top five teams with new custom built rods. Daniel Clinches 2010 Angler of the Year! 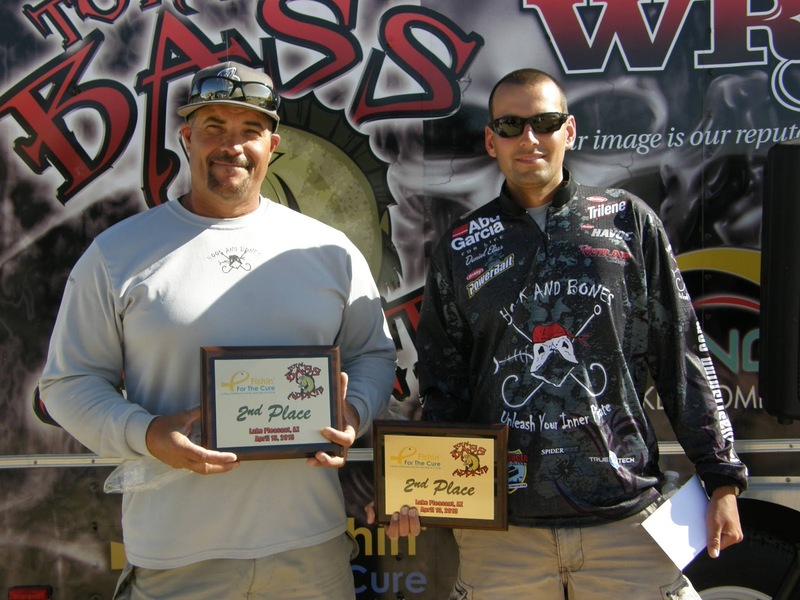 Daniel Elias clinched the Angler of the Year title in the Midweek Bass Anglers of Arizona tournament circuit for 2010. 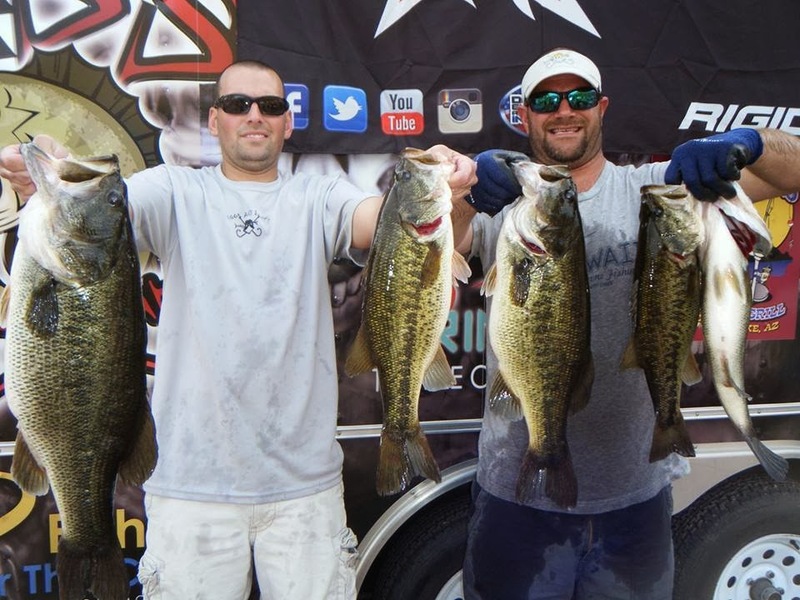 The anglers that fish Midweek Bass tournaments are some of the very best in the entire state. Daniel stayed consistent all year long and said that the old Berkley Custom Poured Finesse worm made a huge difference for him this year. Unfortunately, Daniel is almost out of this worm as it is no longer made. 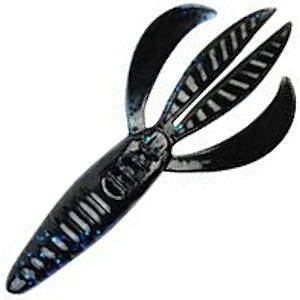 If you or anyone you know has any of these worms available in any colors please contact Daniel Elias by using the contact tab at the top of this website.